Don’t settle for basic Medicaid. CareSource proudly serves Medicaid and PeachCare for Kids® members enrolled in the Georgia Families® program. With CareSource, you get all the benefits of basic Medicaid, plus extra benefits that promote general health and wellbeing. We call it Medicaid and More because our goal is to give you more support, more resources, and more help. What does MORE mean for you? 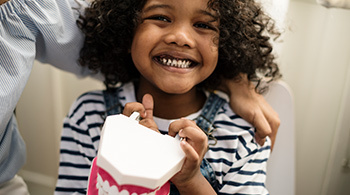 CareSource members get extra dental and vision benefits, programs for healthy and active kids, and services for moms and babies. Babies, kids and adults can earn rewards for getting and staying healthy. Rewards can be used for online shopping or redeemed for gift cards. Members get personal life coaching, help finding a job and rides to job training and interviews. Job coaches help with interview practice and resumes, and provide support after you start a new job. Explore helpful tools like Find a Doctor and Find My Prescription, view plan documents and more. Quickly access your member information, change your doctor, request a new ID card and more. Explore health and wellness information, newsletters, videos, frequently asked questions and more. Free or low cost health insurance for families, children and pregnant women. Our Medicaid plan gives you more than just health care coverage. It gives you extra benefits to help improve other areas of your life. Low-cost health care for children less than 19 years old. 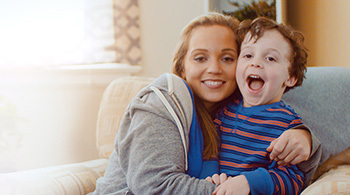 Uninsured children in Georgia can get the coverage they need with CareSource. For children who do not qualify for Medicaid or any other health insurance program and meet certain criteria, including income limits, PeachCare for Kids is an option. Apply for Medical Assistance by visiting Georgia Gateway. You will find out if you or your children are eligible for Medicaid or PeachCare for Kids®. Want to learn more about the benefits and services CareSource members receive? Call us at 1-855-202-0729 (TTY: 1-800-255-0056 or 711). We want to hear from you! Enroll in Georgia Families. Visit the online portal or call 1-888-GA-ENROLL (1-888-423-6765). Tell them you want to choose CareSource as your health plan. Sign up for the plan that gives you more than basic Medicaid. Your Medicaid plan from CareSource provides extra benefits for you and your family.